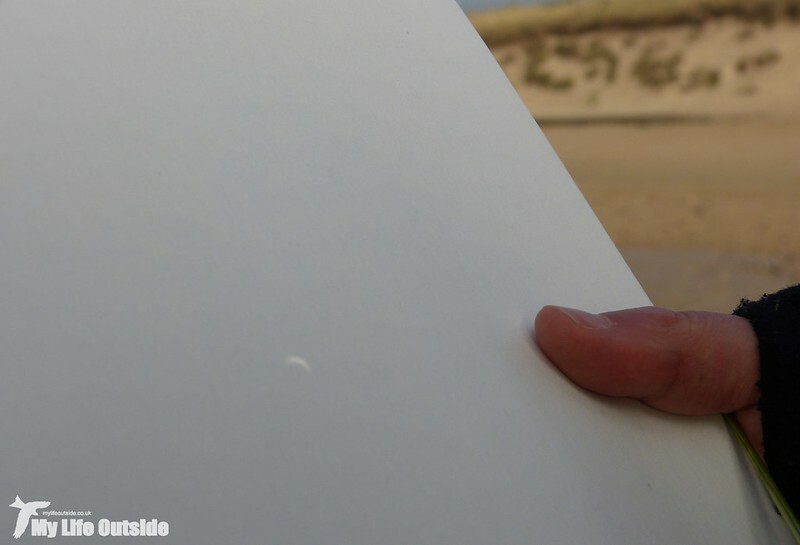 The big natural event during our time away was of course the partial solar eclipse. 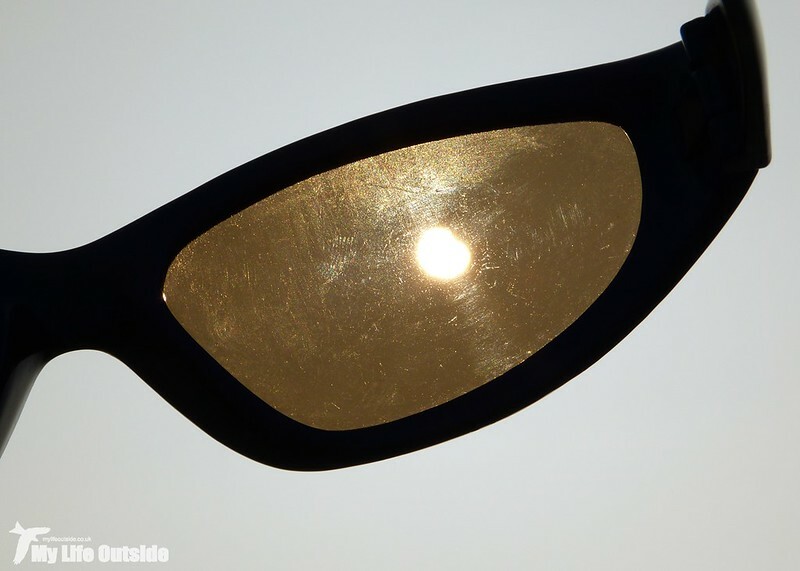 Being so far South we were only forecast 85% coverage but even that would be better than the cloudy conditions which marred my viewing of the last total eclipse back in 1999. For some reason the build up to this one has been rather muted, so much so in fact that I almost missed it altogether and had no time to source viewing glasses or a polarising filter for the camera. Instead Emma used her ingenuity and created a pin-hole projector which worked remarkably well. Taking it down to the beach at Praa Sands we attracted no end of curious onlookers with which we were happy to share the event. Impressive as it was to see the sky dim and a large chunk of sun disappear, I must admit to a slight feeling of disappointment. This may seem harsh considering the rarity of solar eclipses but the sad fact is that even with just 15% of its surface showing the sun was still a very bright beast indeed. I had been expecting, and indeed hoping, for something much closer to the near total darkness of the 1999 event but in reality it just went a little dull, not even enough to stop the birds singing. Saying that we were very grateful for the clear skies (despite high levels of smog kindly provided by mainland Europe) although my camera set-up wasn't quite up to the job. 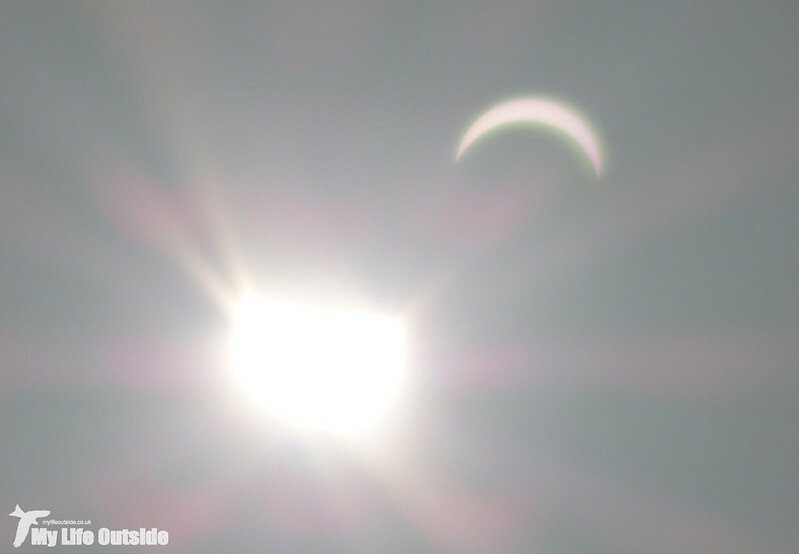 The photo below is actually as a result of internal reflections in the lens rather than being of the eclipse itself and photographing through a pair of sunglasses didn't produce much better results. With the eclipse over and plenty of the day left we decided to try and take in a few areas we'd never visited before. 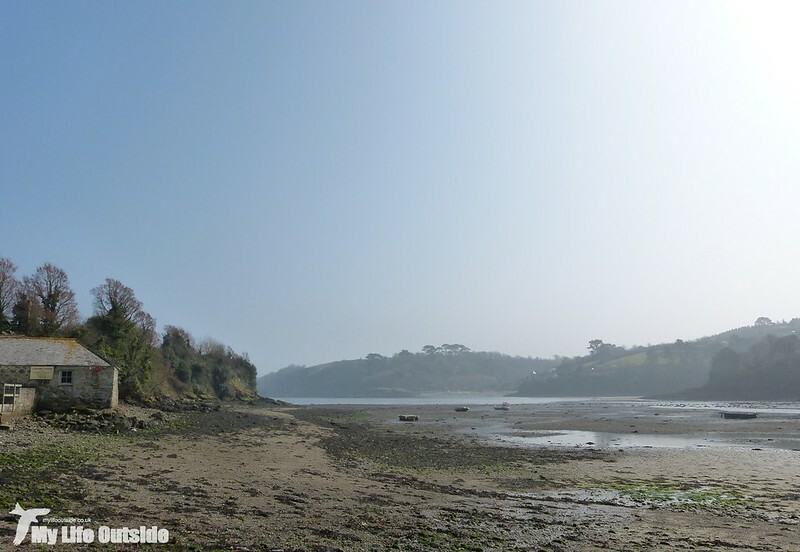 First of these was the Helford River, another well known location and once we'd arrived at Helford village you could quickly see why. 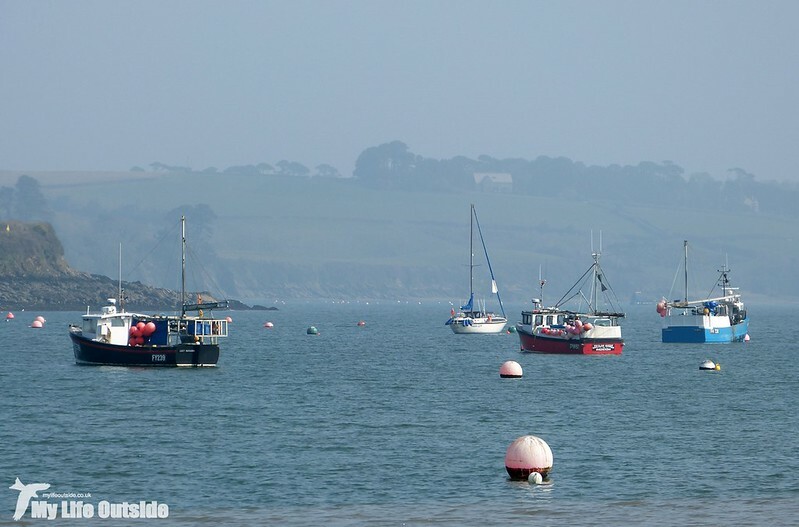 A series of picturesque thatched cottages open onto a wide estuary filled with both pleasure craft and local trawlers. Along each riverbank sit houses the likes of which I can only dream of owning and during the summer months I can easily imagine this place as a real playground for the rich and famous. Today though we had Helford pretty much to ourselves with five Little Egrets and a distant yaffling Green Woodpecker for company. 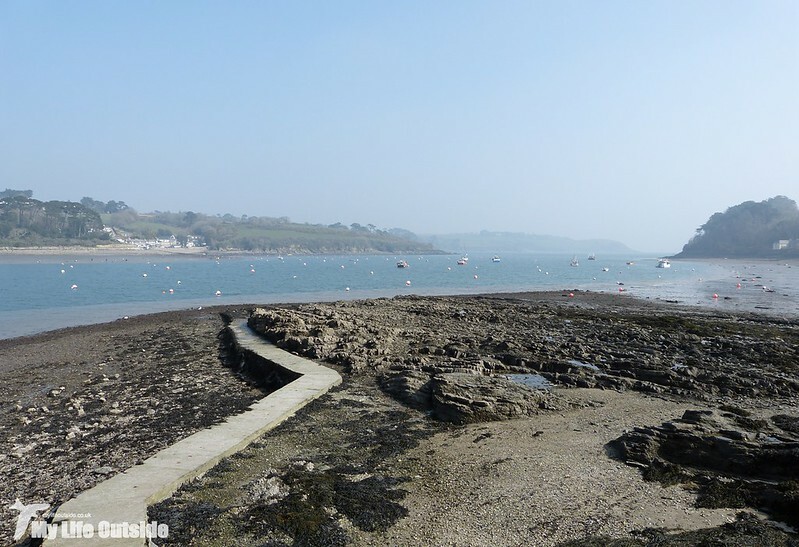 More my scene was the delightful hamlet of St Anthony-in-Meneage just a few miles away and situated near the mouth of the Helford. 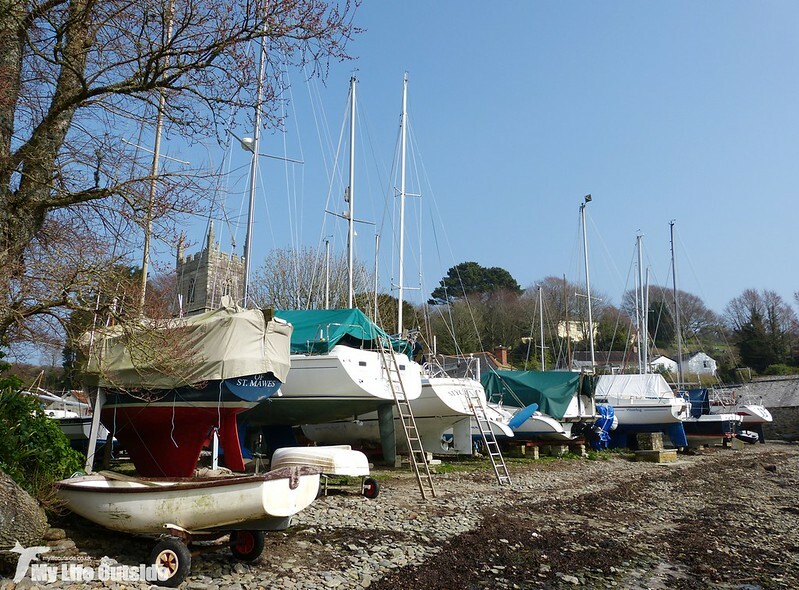 A large fifteenth century parish church dominates the waterside where, as we were still out of season, most of the boats were drawn clear of the water. 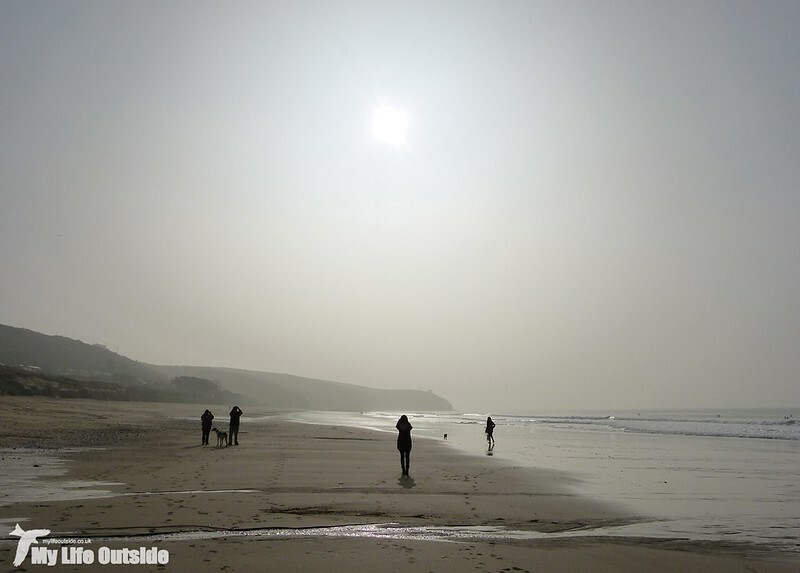 Once the warmer months arrive I imagine the place will take on a completely different character but today, probably emphasised by the hazy conditions, it felt as if we really were the only people for miles around. The illusion of isolation was just that however as behind us mourners were arriving for a large funeral. Normally I wouldn't mention such an occasion but somehow we managed to get ourselves completely tangled up in proceedings. Firstly, due to a lack of parking, one friendly gentleman had directed us into a field opened for the occasion and told us that we were free to stay for as long as we liked. Very kind and we duly obliged despite feeling slightly awkward putting on walking boots as others disembarked fully suited up. Not wanting to get in the way we headed off for a walk to Dennis Head which delivered several Shags and Cormorants in full breeding plumage as well as a Peregrine Falcon calling from somewhere unseen on the cliff below. 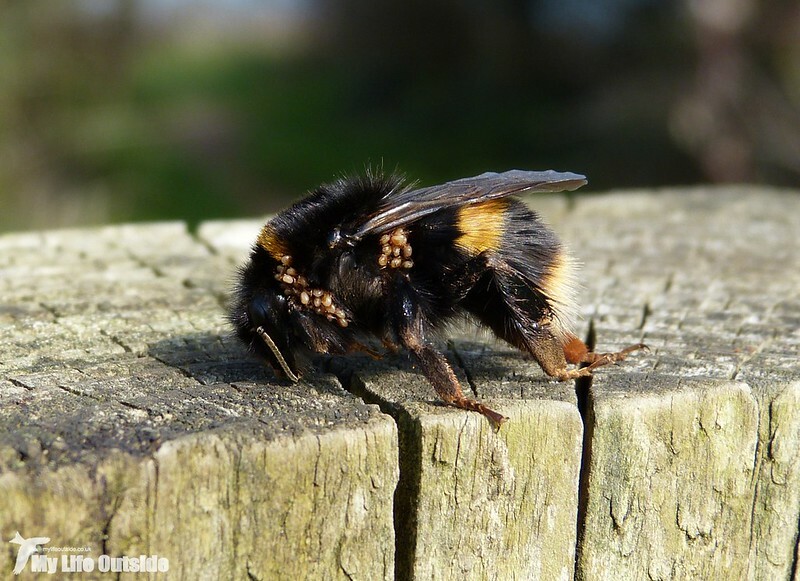 Also present on a fence post was this very large Bee which seemed to be in some discomfort. Closer inspection revealed the reason why as its whole body was covered in Tics. Having being on the receiving end of these vile creatures before I completely sympathise with the Bee's plight. Deeply unpleasant indeed. With the short circuit completed we thought it safe to return to the car now that most people seemed to have arrived. That turned out to be a distinctly bad move. Roughly half way out along the single track road we met the funeral cortège itself and with no passing places I was going to have to reverse a long way back. Let me assure you that nothing increases the pressure on such a manoeuvre than being faced down by a hearse though thankfully I pulled it off and hopefully didn't cause any upset. Talk about being in the wrong place at the wrong time! After that we thought we'd play it safe and headed back into Penzance for another attempt at the Purple Sandpipers. 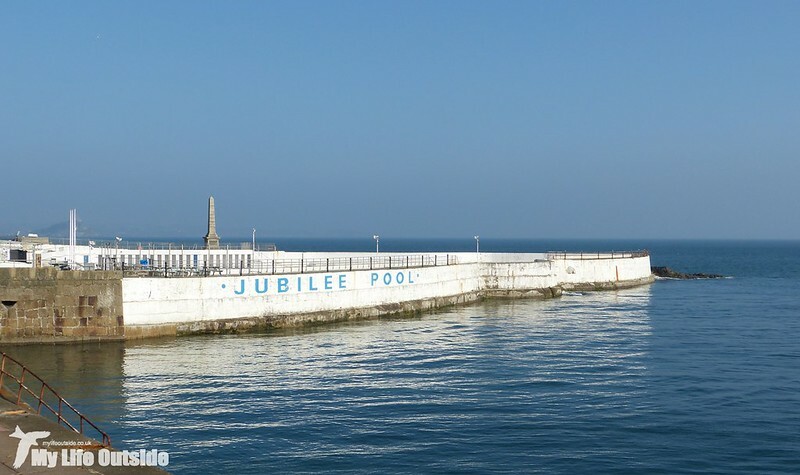 I had been hoping to get some photographs in better light than on our last encounter but alas they were completely absent from Jubilee Pool and the harbour. 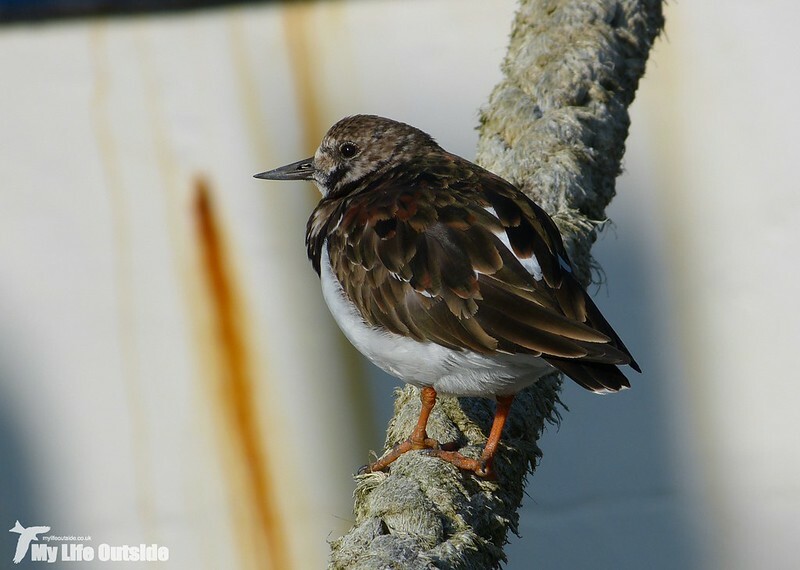 Not to worry as the Turnstones were once more putting on a grand show, this time complete with acrobatics as they ran along the mooring ropes of several docked ships. Definitely not your typical pose for these charismatic waders. By now time really was against us, not just for the day but for our entire Cornwall trip. 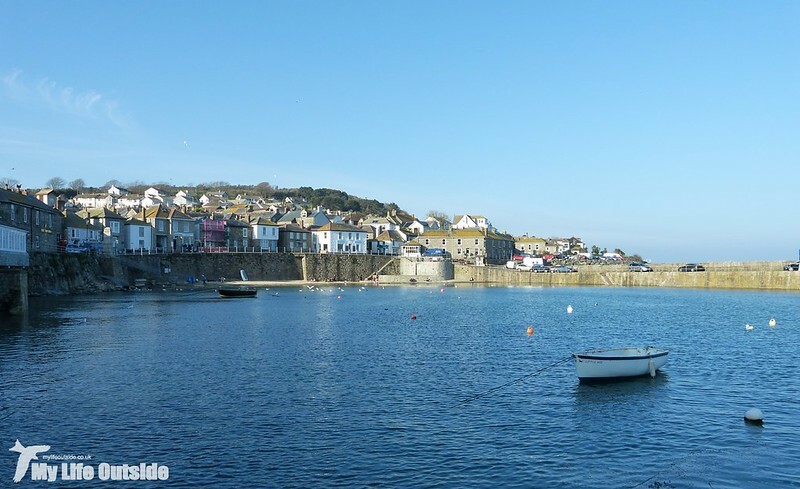 We couldn't leave however without first stopping in at Mousehole, probably my favourite of all the Cornish fishing villages. Small though it may be there is just so much character packed in behind those harbour walls that I'd happily have spent several hours more exploring. And with that it was time to head for home after what had turned into a truly excellent week away. This series of blogs has really only scraped the surface of what we saw each day and yet they have been my most enjoyable to write and share for quite some time. Needless to say there's plenty left to explore of the area so don't be surprised if we pop back down in the not too distant future. I for one would certainly be happy to spend a little more time in the land of the pasty. There is often a silver lining. Free parking for you. It is a wonderful area and winter is the time to explore it. Certainly is Adrian. No crowds! I have enjoyed seeing the places you visited...Some really beautiful spots!! Here in the South when one approaches a funeral procession we are expected to pull to the right and wait for the entire procession to move through...so I KNOW how it is to get caught by one. 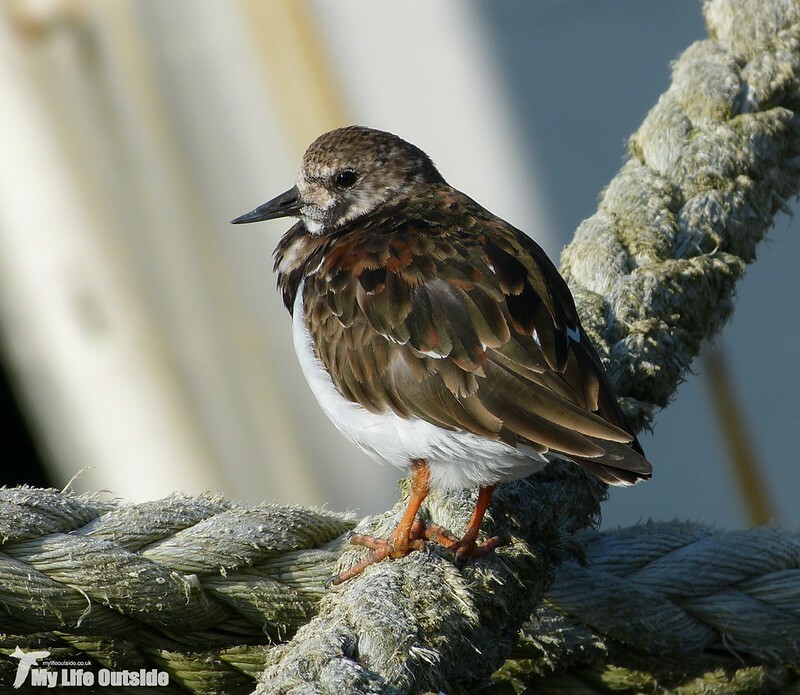 Love that shot of the Turnstone, the Eclipse is always fun to witness although it is not always as dramatic as we would like it to be! A blood moon on Saturday Morning here we won't be able to see much of it.